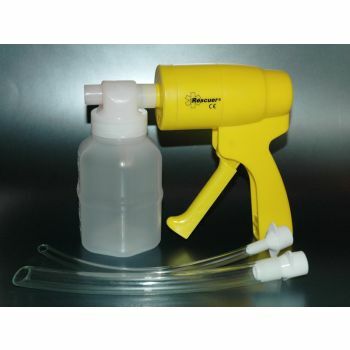 The rescue pump is designed for quick use and easy application. It may be used for pharyngeal and tracheal suction of emergency patients, both adults and children. It includes adult and infant suction catheters with each canister kit and adjustable settings: adult (100%) & children (50%). It’s fast, powerful, completely versatile and very simple and easy to use. No power is required to operate this.